For the ultimate in performance and convenience, the ULTIMATE HYBRID® System gives athletes what they need and where they want it. 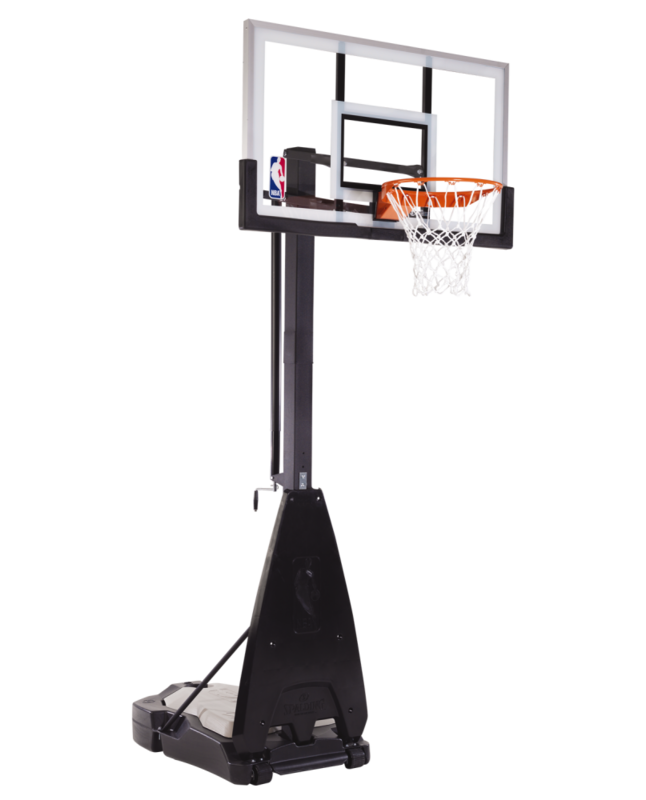 With a glass backboard for the best in bounce, large base capacity for stability, and wheeled storage capability, the game can move with you. The Ultimate Hybrid Glass system by Spalding in one of the best portable basketball systems on the market today for residential play.